The t-shirt was available in two styles, but has since been pulled. 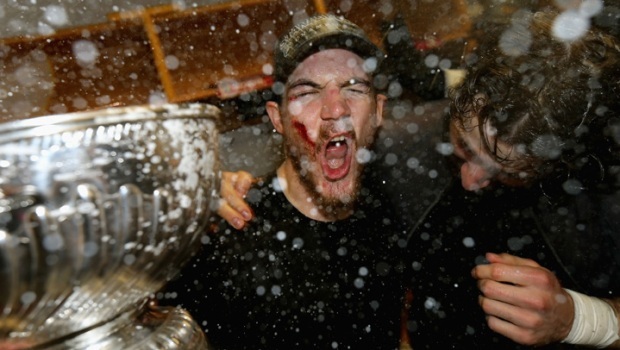 A Chicago T-shirt company has decided to pull a controversial Blackhawks shirt that was a take on the "Boston Strong" motto that popped up following April's Boston Marathon bombings. 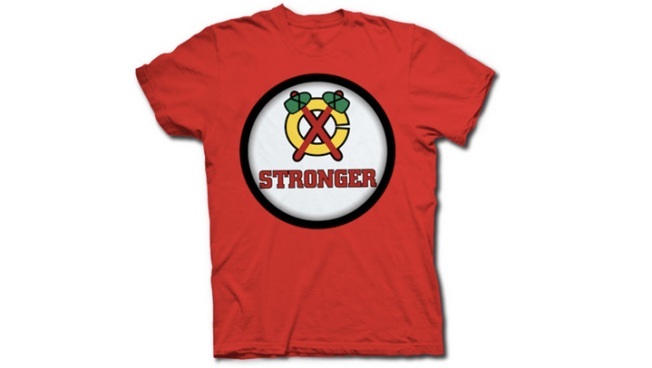 Cubby Tees produced a T-shirt with a Blackhawks logo and the word "Stronger" in preparation for the Stanley Cup Finals matchup between the city's two hockey teams. But after a good deal of social media outrage and negative emails, the company decided to stop selling the Chicago Stronger shirts "in the interest of harmony between two great cities," and posted a lengthy statement on its web site that stopped short of an apology for the T-shirt's message itself. Cubby Tees says the shirt was not meant to "trivialize" the marathon tragedy, but to mock Boston sports fans who co-opted the "Boston Strong" term for their sports teams. The company also says the people who complained about the shirt didn't take the time to read the description that went along with it, which explains their philosophy behind its creation.